Welcome to the October issue of Theater of the Mind. The theme for this issue is "Unspeakable Horror" and so we take no repsonsibility for any nightmares that may result from reading this magazine. Good luck. Theater of the Mind is the first gaming magazine to embrace the bold mission of exploring immersive role playing, cooperative story telling, and direct reader involvement in its publication. The phrase “theater of the mind” is used to describe an immersive role playing experience that takes place entirely within the imaginations of the players and story teller, requiring no props, maps or miniatures. 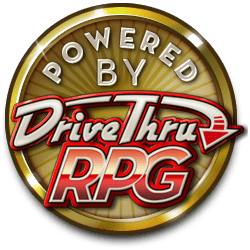 Some have argued that it is the purest form of role playing, and although all role playing experiences can bring enrichment to those involved, the immersive game is the “holy grail” of role playing games. The content of the magazine will include all systems, themes, styles and genres, though they will always be viewed through the lens of immersive role playing. Whenever possible, the magazine will be avoiding the inclusion of specific game mechanics in its content, allowing the reader to apply it to any role playing system. Theater of the Mind will be including role playing related articles, maps, stories, character tales, adventures, game master tools, new creatures, children’s content, reader submissions, and much more. Please don’t hesitate to offer feedback and suggestions. Theater of the Mind is intended to be an interactive resource for everyone who is interested in getting the most from their role playing experience. What do you think are are the best, or your favorite, horror role-playing systems? The systems I have returned to the most often to tell stories with the intent to facilitate an experienced of fear or horror are, Call of Cthulhu's slice of BRP, and Storyteller. The former because it operates within a framework I find very conducive to building toward a sense of crushing, cosmic horror, and the latter because it quite easily brings that horror home. In both cases the simple mechanics still require attention to be put to use properly, so their efficacy can be missed by those who give them just a cursory glance, but they are classics for a reason. I love Call of Cthulhu of course, but another, less known game is called Wonderland. In that game you are essentially "infected" but the supernatural and experience episodes where you seep into the other reality. The interesting thing about it is that you can be in a normal, mundane situation, and then suddenly reality just unravels. From your perspective, the world has gone insane, and from everyone else's perspective, it's YOU that have gone insane. You might emerge from an episode where you had to fight off a tentacled horror to find yourself standing over the body of a dog... or worse.